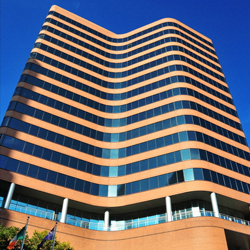 Offit Kurman Attorneys At Law is a dynamic legal services provider assisting clients throughout the Baltimore area.Our firm is well positioned to meet the legal needs of dynamic businesses and the people who own and operate them. From I-83: Take I-83 South. I-83 will merge with I-695 outside of Baltimore. Keep right and follow the signs for I-83 South towards Baltimore. I-83 becomes President Street. Continue on N. President Street. Make a right onto E. Lombard Street. The office will be on the right. From I-95: Take I-95 South. I-95 will merge with I-895. Take Exit 14 Moravia Road toward US 40/Pulaski Highway. Keep left at the fork and follow the signs for Moravia Road. Turn left onto Moravia Road. Take the ramp onto US 40 West. Turn left onto N. Central Avenue. Turn right onto E. Lombard Street. The office will be on the right. From I-95: Take I-95 North. Take Exit 53 I-395/ML King Blvd. Merge onto I-395. Make a right onto W. Conway Street at the end of I-395. Make a left from W. Conway Street onto Light Street. Follow Light Street and make the right onto E. Pratt Street. From Pratt Street turn left onto Commerce Street. Take the first left onto E. Lombard Street. The office will be on your right. From MD-295: Take MD-295 North. MD-295 North becomes Russell Street. Take Russell Street north until W. Pratt Street. Turn right onto W. Pratt Street. Follow until Commerce Street. Turn left onto Commerce Street. Once on Commerce make the first left onto E. Lombard Street. The office will be on your right.